You are one of the most recognised photographers, with work published in periodicals known worldwide, such as National Geographic, and in Greece as a photographer for Kathimerini newspaper. Would you like to tell us about your beloved island of Aegina? The history of the island as depicted by the artists who have lived here has shown that it is an island that favours the creation of intellectual work and art. Firstly, because of its proximity to the city, but also because of the beauty of land and the unique light on the island, a light with its own colour. It is a unique phenomenon in Greece. 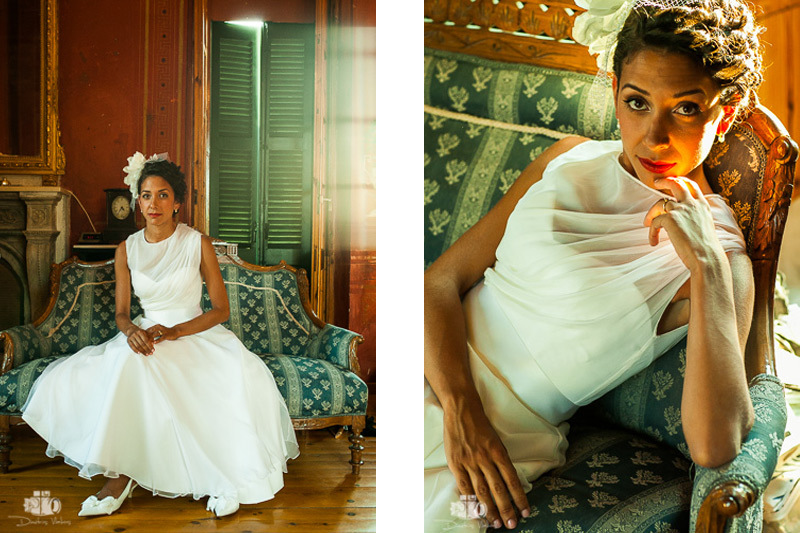 You are also one of the most popular wedding photographers in Aegina. 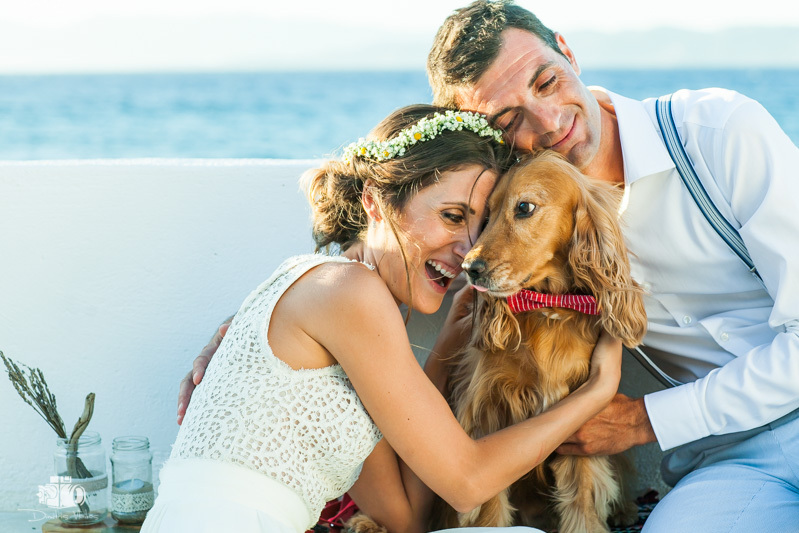 Would you tell us what makes weddings in Aegina so special? And of course it is an unforgettable experience for the couple that they will remember forever. For everyone, of course, for the couple and for the guests. Could you suggest what a couple might choose? A wedding at one of the beautiful churches in the town, or a smaller chapel by the sea? It depends on the couple and their priorities. The chapels in Aegina are very special. A dazzling blue background for photos with a clear horizon. They are easily accessible to guests and are particularly well maintained. The larger churches are usually chosen for weddings or baptisms earlier in the day to avoid the summer sun. In this case, combining it with a seaside restaurant is a perfect way to round out the island experience. I should also add that the churches and chapels are all very close to the port of Aegina. What advice would you give to couples so that their wedding photos will be truly unique? It might seem strange, but the wedding photos do not depend only on the photographer, but mainly on the couple and the location. And the couple, what should they do? Can you offer some advice? Should they prepare in advance, or do something in particular at that moment? 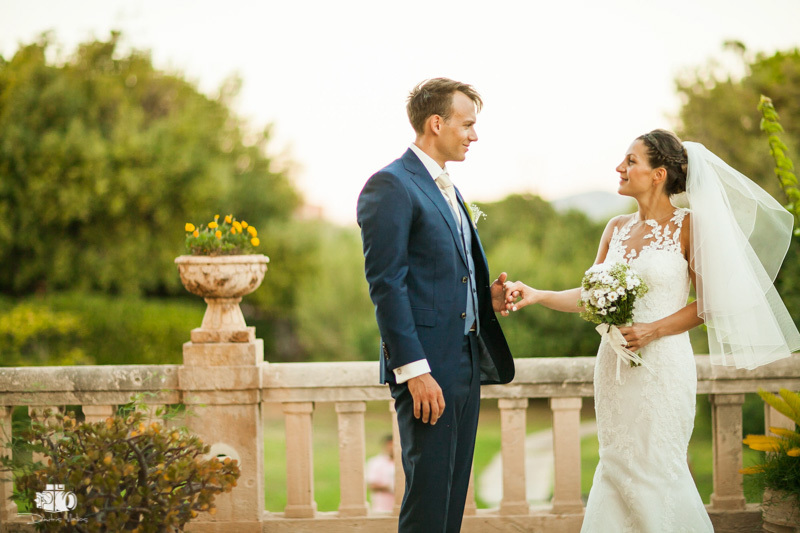 One of the basic things a couple must do is to select the right time of day for the wedding. The wedding should take place in the afternoon before it starts to get dark so we have plenty of time to shoot the photos of the family and of the couple in natural light. When it’s dark, you can’t see the background. Another important aspect is location because it determines the experience we want our guests to have and it is more important than anything. The mood and spontaneity of the couple, which are transferred to the guests and have a positive impact on the photographer’s results. What advice do you have about the time of day? 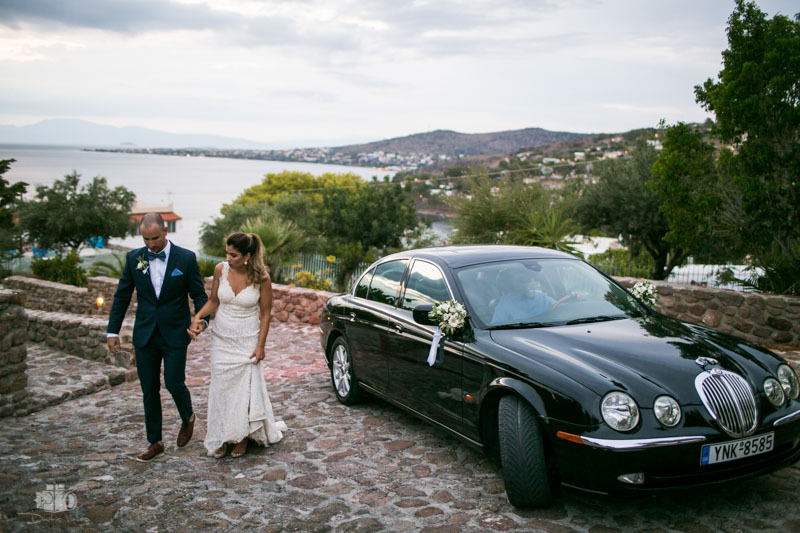 During the summer, the best time for a wedding in Aegina is two hours before sunset. During the spring and autumn months, I would suggest having the wedding at noon in natural light so the couple can spend the rest of the day with their loved ones. Would you share your plans for the future with our readers? Aegina lacks services for couples who would prefer to have a civil wedding ceremony. The Municipality currently offers no options for civil weddings. They are only carried out at the Town Hall and only on Thursday mornings. 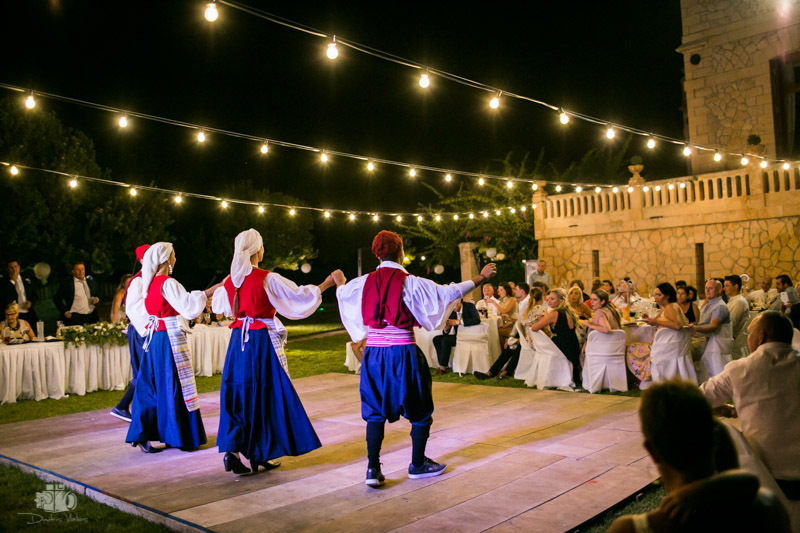 I would like to work with other professionals involved in weddings and tourism in Aegina, and of course the Municipality, to be able to offer couples the option of getting married outside the Town Hall, at any place, day or time they want. As for the art of wedding photography, I am a strong believer in spontaneous wedding photos, and that’s why I want the couple to just experience their wedding day, to plan it the way they want, to have it be a form of self-expression and to create a beautiful experience for their guests. With a little more imagination, we can have unique weddings and ones that we would all like to have and remember for a lifetime.